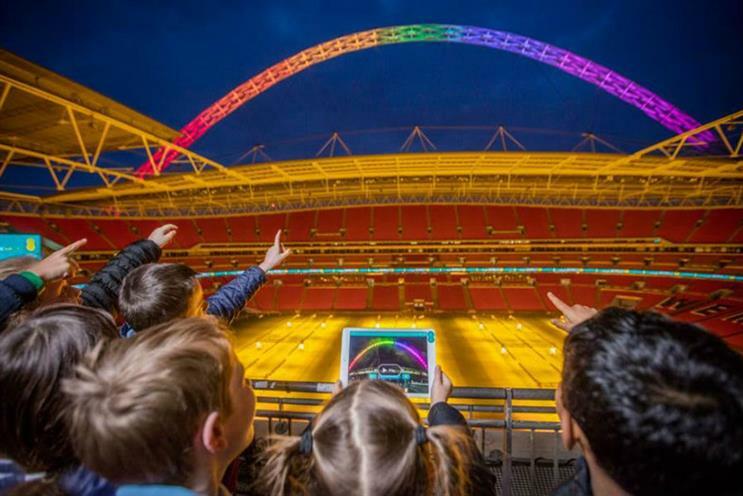 EE is offering children the chance to produce a light show for the Wembley Arch via an app that teaches 7 to 11-year-olds how to code. Wembley stadium sponsor EE is running the initiative in collaboration with education technology charity Apps for Good to help teach the principles of coding. EE managing director of digital, communications and innovation Max Taylor said: "EE’s partnership with Wembley has just entered its third year and this feels like a fantastic opportunity to give something back. "Recent research has shown that the UK will be unable to fill up to 250,000 digital jobs between 2015 and 2020, because of the digital skills gap, so tools like 'Light the Arch' are more important than ever to help get kids interested in technology and coding." Children will be encouraged to use the app in the classroom or at home and all those who create a design will receive a video of their light show to share with friends and family. A selection of the design submissions will be randomly chosen to appear on the arch after the final whistle of England’s match against Netherlands on Tuesday. There will also be further opportunities later in the year for more users of the app to have their light show appear live on the Wembley arch. EE is launching the ‘Light the Arch’ initiative as part of what it calls its "wider commitment to battle digital exclusion and get more young people into technology and coding". It has already pledged to get at least 100,000 people using the web app by the end of the year. The app features a choice of 60 colours and eight patterns such as a ‘clap, weep, twinkle and rainbow’ to play with. Users will also have the option to change the length and speed of each pattern. Designs have to be submitted via the EE website by Sunday (27 March) to have a chance for it to appear at the England vs Netherlands game.